Wilson's Warblers breed throughout Alaska, Canada, and the Pacific Northwest, from sea level up to just below alpine meadows. But who was this warbler's namesake? Alexander Wilson was a Scottish-American poet and ornithologist who researched and illustrated American Ornithology in 1808, describing 26 new species in the process. Though he died in 1813 before the final volume was complete, his successor George Ord referred to his predecessor as the "Father of American Ornithology." He was the best known ornithologist in North America before the arrival of John James Audubon, who began the seminal work The Birds of America in 1827. Can you think of all North American species that sport this ornithologist's name? A total of five: Wilson's Warbler, Wilson's Snipe, Wilson's Plover, Wilson's Phalarope, and Wilson's Storm-Petrel. 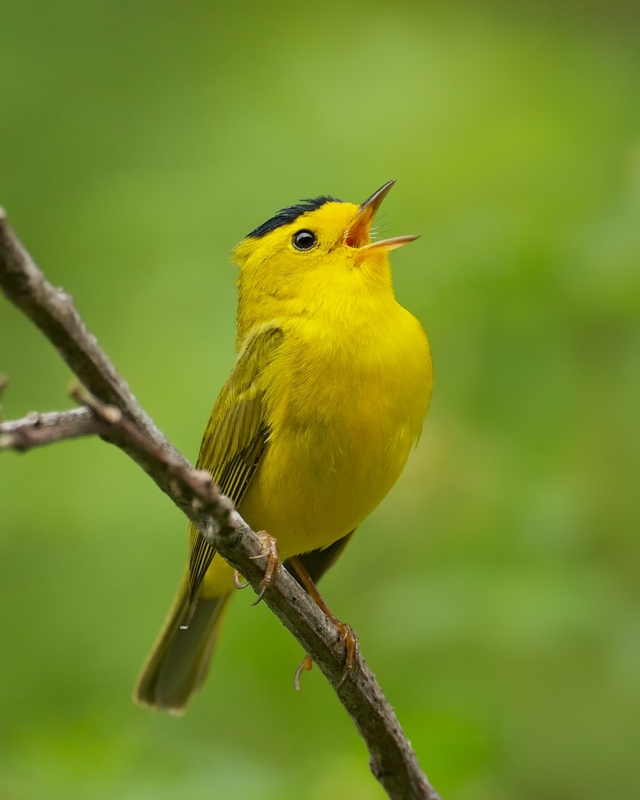 Listen to BirdNote shows about Wilson's Warblers.